Was there ever a time when a verse was glued to your heart? This whole week, Proverbs 3:5 was that verse for me. 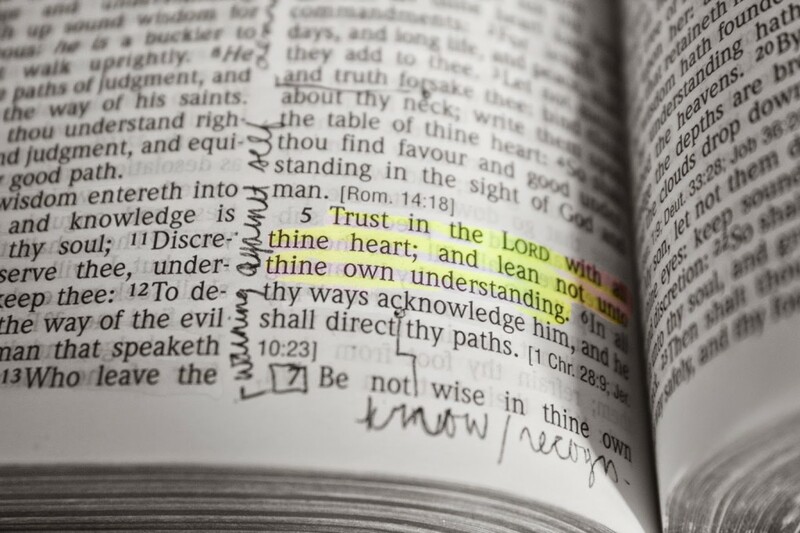 Whenever I felt overwhelmed about school and other worries, my thoughts immediately centered on the first part of the verse: “Trust in the Lord with all thine heart”. God wants us to know that we can trust in Him. In addition, God wants us to know that He is our Friend. Friendships, relationships, and marriages are all built upon a key component- trust. Without trust, what good would any kind of relationship be? This verse not only comforted me, but also inspired me to be a better friend. God loves and cares for us despite the fact that we betray Him everyday by sinning. Even though we do wrong, God still wants us to trust in Him and tell Him our needs. Isn’t it wonderful and reassuring to know that Jesus is there whenever we need Him? He definitely is the best Friend that one can ever have. As Christians, we must look to Jesus as our example of a friend. Even if our friends do us wrong, we should love and treat them kindly as Jesus has done for us. Has there ever been a time when a verse spoke to you? If so, I’d love to hear about it!